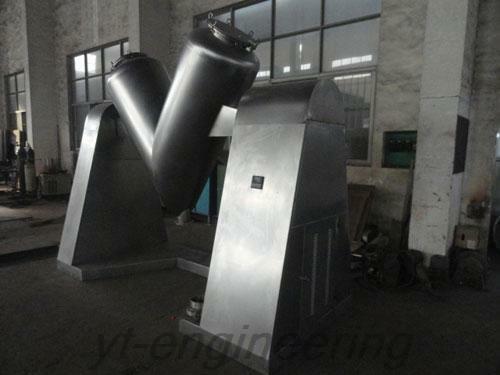 SYH three dimensional pharmaceutical blender is widely used in pharmaceutical, chemical, food, metallurgy, light industries and research institutes. 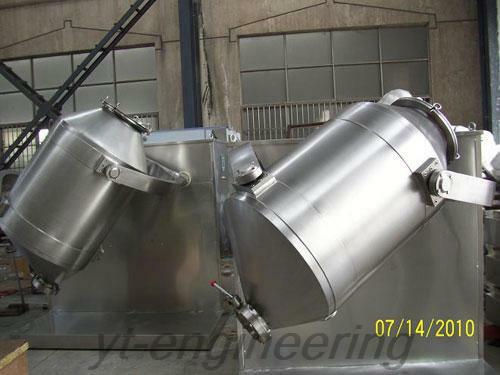 1.Pharmaceutical mixer has a unique driven shaft servo mechanism, so that the whole machine runs stably and reliably with low noise. 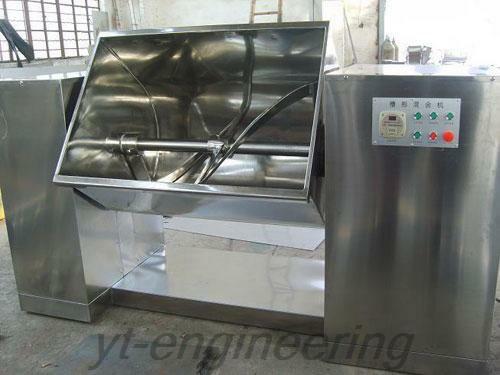 2.Three dimensional pharmaceutical blender is characteristic of short mixing time and good mixing effect with the evenness up to 99.9%. 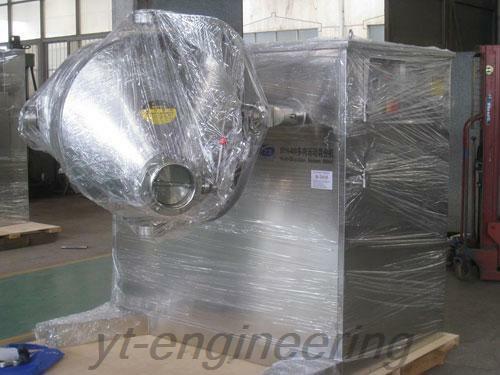 3.The inner wall of the barrel of pharmaceutical mixer is finely polished, so there is no dead angle in it. 4.Both inside and outside of the cylinder is polished, which totally meets the GMP standard. 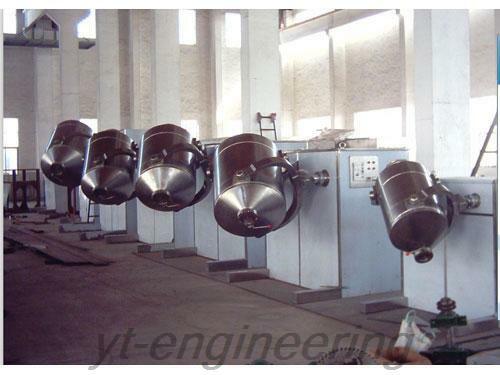 Yutong possess 10 professional engineering and technical personnel and over 100 sets of processing equipment. 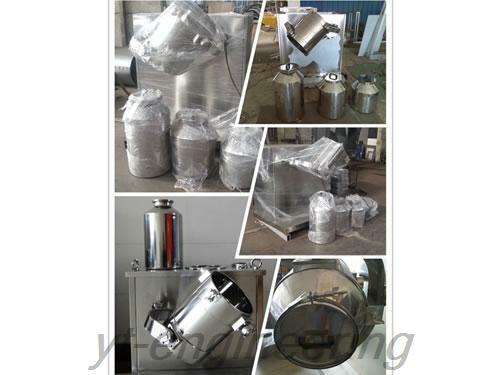 Over the years, we make our effort to the development and production of three dimensional pharmaceutical blender. With rapid development, we have already accumulated abundant capital and technology strength. 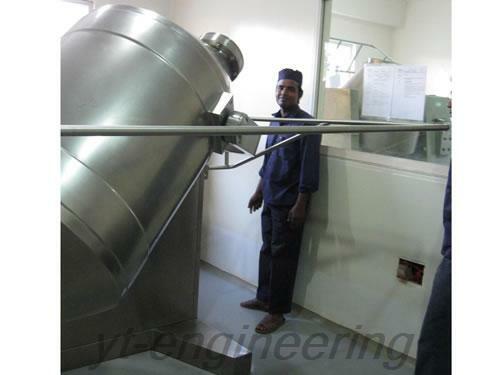 Various experimental pharmaceutical mixers are available for customers to test and inspect.